I'm sure you've all seen this idea done before. It's been all over Facebook and Pinterest for a while now. I came across the idea several weeks ago and completely forgot about it, so I was glad when Grace's aunt sent me this link: Valentine Heart Attack by Skip to My Lou. Right away, I loved the idea of posting little love notes on Grace's door telling her all the reasons that we love her. Just like Cindy at Skip to My Lou, suggests, I planned on taping a new heart to Grace's door each day from February 1st until Valentine's Day. So, when I spotted these great, heart-shaped doilies at Dollar Tree I knew they would be perfect for the little, positive, love notes for Grace to wake up to every day! What's even better is that they are only a dollar for a pack of 30. One package would have been plenty, but I knew that Gracie would like the combination of pink and red. Plus, for the price, the leftovers will be a great addition to the craft supplies stash! 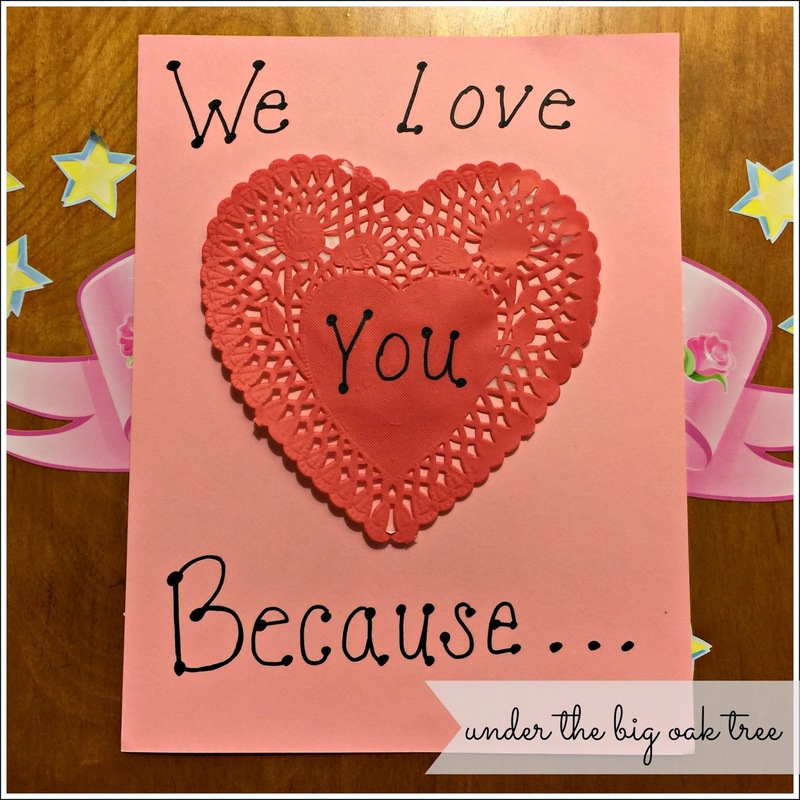 I grabbed a piece of pink card stock from my craft supplies, attached a doily to it with some tape and wrote "We love you because..." with a black marker. Then I taped it to her door. The best placement ended up being over a Princess decal that was already stuck to her door. After that was done, it was time to start adding a new heart each night after bedtime. Since we still have some time until Valentine's Day, this is still a work in progress. 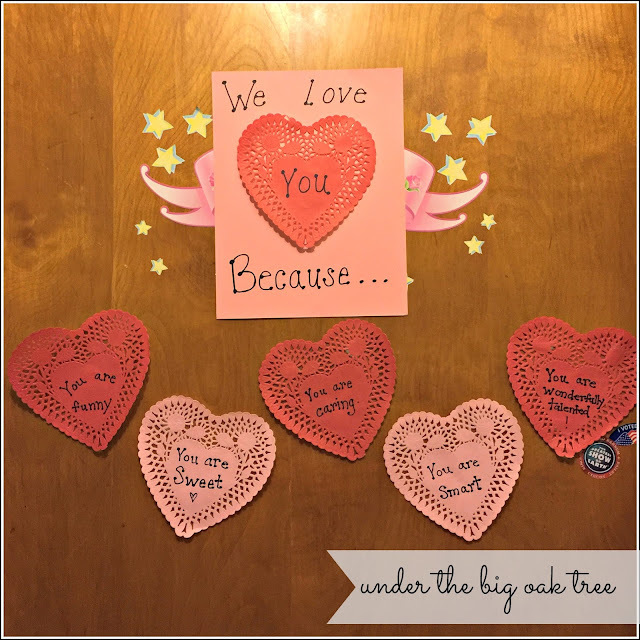 I'll come back and add another photo or two as we add more hearts to her door! Grace loves waking up to see her new love note attached to her door each morning. I love that this is such an inexpensive and easy way to make her feel special and surprised. What better way is there to start the day than to be reminded that you are loved? 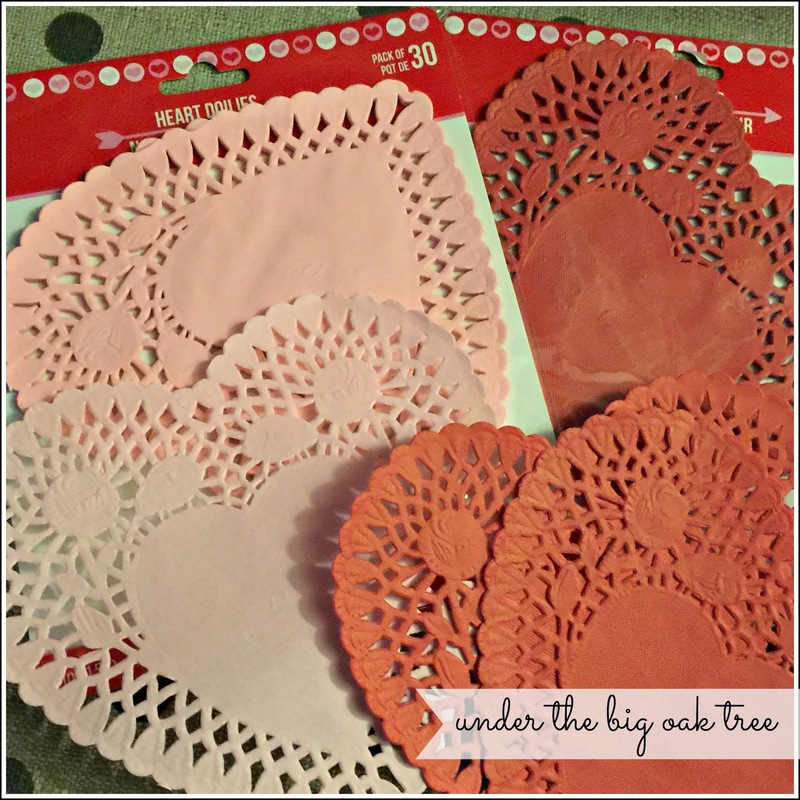 Such a cute idea to use dollar store doilies for that! I did a heart attack door for each of my boys a few years ago using different colored construction paper hearts. @Mother of 3, construction paper would have been perfect as well! Actually, when I first saw this idea, construction paper was what I intended to use. We were out of the red/pink that I knew she'd prefer.